Much like the exhibitions we trade in, Smart Cities promote industrial development and digital innovation. 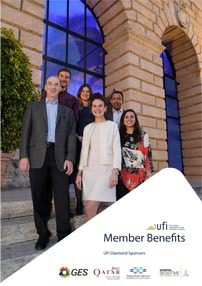 As hubs for digital services able to connect foreign countries, they attract digital workers, investors and software companies from around the world. 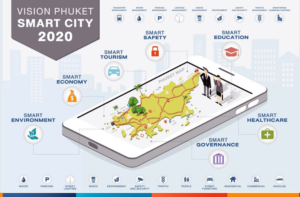 The Phuket province will host the first smart city in Thailand, re-conceived around the notions of flexibility, ease of doing business and overseas investment, with an overall revision of potentially obstructive trading laws and regulations. The projects will be supported by the government through the Software Industry Promotion Agency (SIPA); an institution most are unlikely to associate with such a project. One of our shortlisted ‘MICE Cities’, Phuket has been selected for reasons including its high global ranking as a tourist city, an ICT infrastructure capable of supporting a fast, highly-stable communicative network, and its strategic positioning as an industrial city for high-technology businesses. What will this development mean for exhibition organisers? 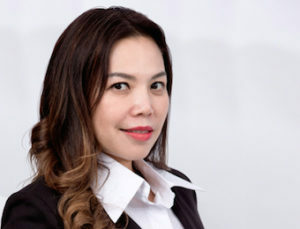 A smart city in Phuket would conceivably generate additional business opportunities not only in terms of fostering start-up enterprise and the fast-tracking of a digital economy, but also in terms of the support structure that drives such enterprise – and which serves to improve the experience for any exhibition organiser. The reason smart cities are of such interest to exhibition organisers is because they take an existing industrial and commercial objective, namely the creation of a city, and introduce new elements to the process as a result of a new set of requirements. They deliver not only bricks and mortar but an ecosystem and environment that supports the development of digital innovation. Smart cities also create new exhibitors for existing events. Returning to Phuket, great opportunity now exists within the built environment for foreign suppliers of ICT optimisation services and communication systems, as well as building energy management and grid automation. The prospect brings to mind the words of Daniel Zhang, group CEO of Alibaba who, while introducing the concept of Made in Internet, said: “We are moving from satisfying needs, to creating needs”. Thailand has realised this and as a result established the Smart Cities Thailand Association in February last year, an effort to unite bodies with a vested interest in smart city management to provide greater understanding of related technologies. The notion also plays to our government’s Thailand 4.0 initiative; ushering in a new economy built on knowledge and exchange of information. This new direction, combined with the existence of established Thai exhibitions such as Sustainable Energy & Technology Asia, Convergence Technologies Asia, Green Building & Retrofits Expo Asia and the recently concluded Secutech Thailand, will generate a host of new options for organisers focused on South East Asia. According to UN projections, more than two thirds of the global population will live in cities by the year 2050. The development of smart cities and all their related technology is big business for our industry.